I read those two books to fulfill my lazy time due to new year weekend holiday, “New Moon” by Stephanie Meyer and “Membongkar Gurita Cikeas” by George Aditjondro. Those books have attracted my curiosity for a while until I decided to read it last weekend. So I spent my new year weekend just sit and read, haha.. another lazy way to kill laziness. 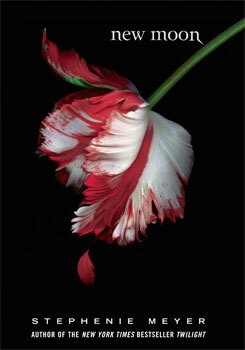 “New Moon” is part of world-wide-best-selling novel of Twilight Saga by Stephanie Meyer. Why this saga become so famous has put my curiosity into the edge, though i did not read the first part, Twilight. Well, I am kind a fan of fiction and fantasy story but, after all, the story was not so.. what can I say, not so exciting, generally speaking. Kind of too slow for me and I could not find where is the climax of the story, its like a plain from the beginning until the end. I don’t know how about others opinion, but that’s mine, I think. 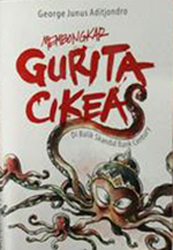 “Membongkar Gurita Cikeas”, hmm.. this book has become headlines in many many newspaper and newsportal in Indonesia. Difficult circumstances when it comes to political issues, actually, I have my opinion about this book, but I think I will not publish here. Haha, Electronic Information and Transaction Laws is threatening now. Just for conclusion, for me this book also not so exciting tough. kata orang, new moon itu bacaan perempuan, wind. hihi.